There is also some comedy scene in the movie Spider man. And I like comedy films. And besides comedy films, I like the movie like thriller, drama, horror. And when I was given the film script for the movie Civil War, it was very interesting for me. And was also enjoying it. And if the movie is a spider man then it is also an adventure-filled experience. I was very excited about this movie. Some scenes were tough for me, because they were quite different. 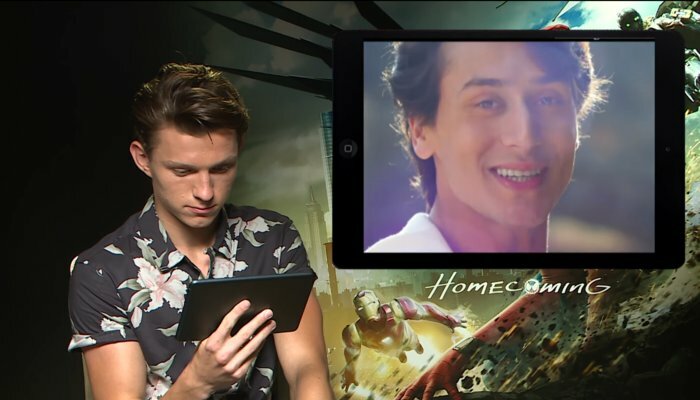 And after watching the video of a song of tiger shroff, Tom Holland said that tiger shroff is a cool and real dancer. Tiger Shroff is also part of this movie. Because he will give the Hindi dubbing voice to Spider-Man Homecoming film. Tiger spoke about his character from the film and said, “I had to portray two alter egos in the movie, one of Peter Parker and the other of Spider-Man of course. To get into the character I used to wear the Spider-Man mask while dubbing, and while doing action sequences I was moving and shouting like Spider-Man and responding to hits.